Widmer offers a seemingly unlikely model for business leaders today – Blessed John Paul II, namely because of the great pope’s emphasis on the humanity of each individual. Business, even in a for-profit context, exists to serve man. It serves employees, who strive to earn a living; it serves customers, who gain a service or product; and it serves investors, who earn returns on financial investment. The leader who loses sight of the fact that business exists to serve people sets himself and his company up for long-term failure (even if there is material profit in the short-term). This is not to say that profit is bad, of course; according to Widmer, profit is the incentive that helps us serve employees, customers, and investors even better. But profit for its own sake, without any concern for man, is dangerous. That’s why Widmer so strongly advocates for a “person-centered ethic,” so distinctively embodied in John Paul II. Widmer offers 9 lessons — drawn from John Paul II’s teachings and from anecdotes of personal encounters with the pope — to help the business leader cultivate his ethic, virtue, and humanity. What makes this book so outstanding, however, is that while it is directed towards business leaders, anyone can apply John Paul II’s teachings to their lives. Virtue, after all, is to be lived out no matter what your situation in life — whether you are a layman, a CEO, or a pope. Content: 9 chapters dedicated to 9 leadership lessons, based on Andreas Widmer’s encounters with the pope while he was a Swiss guard. Style: Very colloquial, which makes for an easy and light read. (Read through it on your next long plane flight!) Alternates fluidly between (auto)biographical sketches, encyclical quotes, and abstract lessons. Catholic? : It’s refreshing to find a businessman and author like Widmer who sincerely tries to live out his Catholic faith in all aspects of his life, instead of compartmentalizing faith, work, and play like so many of us are wont to do. It is Widmer’s attitude that will leave the reader convinced that business for profit, too, can be a vocation. But if we can’t unite in the realm of politics, can we do so in the world of business, specifically in investing? It’s an interesting thought and well worth a read. I’m no expert in investing and even economics in general. But Catholic moral investing is fairly simple. Just as you vote your conscience, invest your conscience. Don’t judge investments solely on their potential financial return; consider how they might promote or attack Catholic values. Whatever financial returns Planned Parenthood, for example, might have, it’s still morally wrong to help it propagate a culture that condones abortion. One good way to invest ethically is joining a Socially Responsible Investing (SRI) mutual-fund, but make sure you do your research. Some SRI’s will use investing activism to fight global warming but will be completely fine with Planned Parenthood. Catholic moral investing is just another way Catholics can bring positive change to society. No big deal, as always; just another example of why being Catholic matters. Every Catholic at some point needs to defend his or her beliefs and explain why they are legitimate. This book is a good place to start preparing. 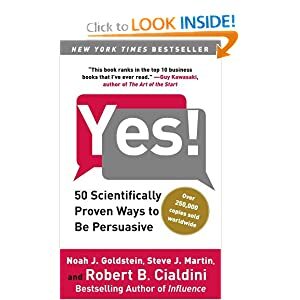 I found this to be a particularly nice read because it teaches you less how to persuade others than how to connect with them–indeed, how to become friends with them. It’s a good approach because that’s life: We should focus not on winning the argument, but on learning more about our opponents and about ourselves; it’s much better to make a friend of one who disagrees with you than to make an embittered opponent. Besides, as this book emphasizes, you tend to persuade people more easily if they consider you a friend, anyway. There’s also some interesting tidbits of trivia on the Catholic Church here. Apparently the practice of having a “Devil’s Advocate” (or a diabolus advocatus, as it was called then) originated in the Church: Whenever a candidate was up for sainthood, it was the role of the devil’s advocate to gather the strongest possible argument against the canonization of the candidate. Of course, one can say the devil’s advocate actually strengthened the case for canonization because his arguments seemed so artificial and strained. Yet it’s nevertheless interesting to note how practically all major decisions nowadays are not made without first consulting a devil’s advocate–a practice that began (at least officially) with the Church. As always, no big deal. Just another instance of why being Catholic matters. Content: Varying tips on how to persuade other people, using the two-pronged method of scientific research and personal anecdote. Style: Direct and Colloquial. Extremely brief chapters (4 pg average) make for easy reading. Catholic? : Not necessarily, but the tips here are nice for any Catholic to know. Also some nice tidbits of trivia on the Catholic Church.